Sapphire skies, juicy green meadows and sparkling water. Not a blade of grass out of whack. It was a day to remember in the town of Marstal, on the Danish island of Ærø. If this brings on vowel-anxiety, relax. 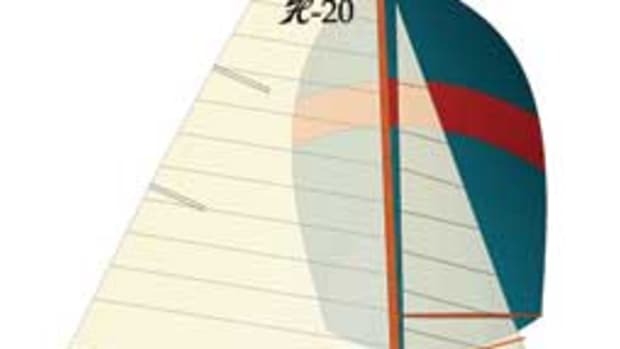 This isn’t about phonetics but salty schooners, the people who built them and those who sailed them to faraway places. 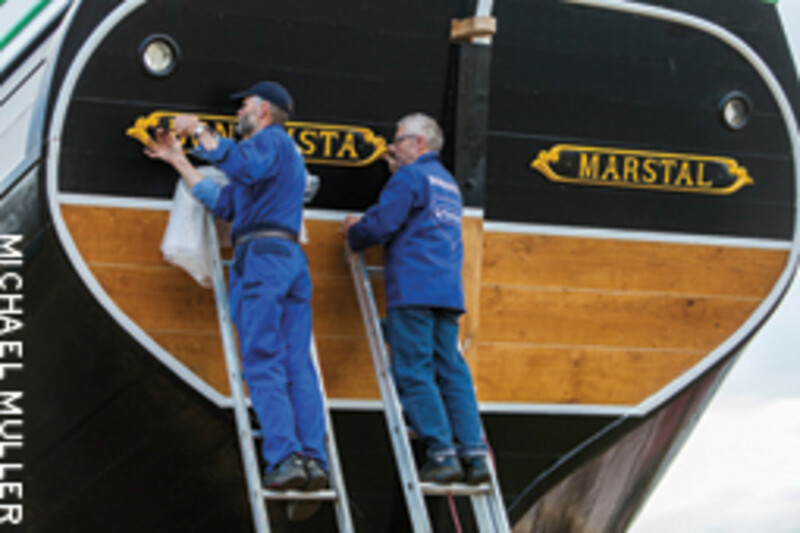 In the late 19th and early 20th centuries, Marstal was renowned for its cargo schooners that crisscrossed the world’s oceans. More than 100 of them worked in the Newfoundland trade, hauling cod to Europe and salt back to the New World. A crowd that would put to shame some professional sports teams — estimates range from 5,000 to 10,000 — descended on this place May 26 to make merry and participate in a kind of ritual that is akin to time travel. They were giddy with excitement about Bonavista, one of these Marstal schooners that has been restored to original condition and was about to be launched from Eriksens Plads, the very spot where she first slid down the ways 98 years ago. 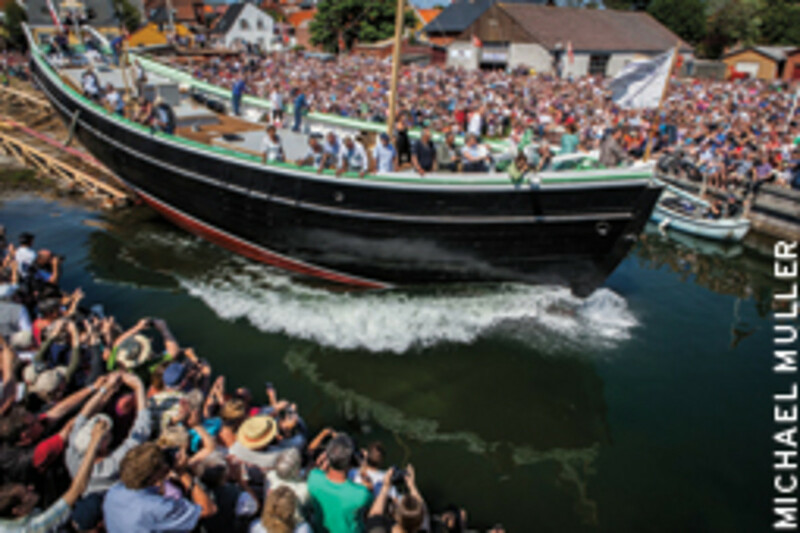 The harbor was jam-packed with 90 traditional schooners and cutters that all made their way to Ærø to provide the festive backdrop for this launch, or “stabelafløbning.” There were Danish flags, sunburned noses, happy faces, salty ships, at least one singing saw and lots of laughter — not to mention the beer carts that opened their taps around 9 a.m., pouring Bonavista Ale that was brewed just for this occasion. Say what you want about Denmark, but when it comes to old ships and strong øl (beer), they don’t play second fiddle to anyone. Restoring Bonavista’s hull, which joins a voluminous bow to a sweet sheer, was a monumental task that escapes business logic. But the context of the project transcends the realm of traditional boatbuilding and the local scene, so it was bound to happen. Master shipwright Ebbe Andersen of Ebbes Bådebyggeri, who specializes in this kind of work, was tasked with the job. But the more he looked, the more it became clear that this was a wreck that probably should have been torched. 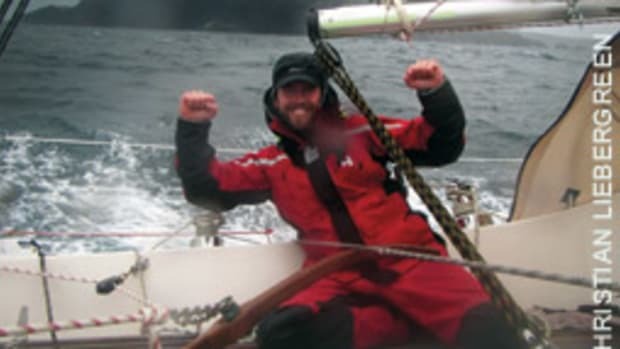 “We saved one knee forward, one aft, a couple of floor timbers and the manual anchor windlass,” says Andersen, a trim fellow with curly gray hair, Elvis Costello glasses and a dose of dry Danish humor. Yes, most of it is below deck where people can’t see it, “but that’s OK, because it’s an inside job anyway,” he jokes. And he became an insider on the sad condition of Bonavista soon after she was dragged ashore with a broken keel at Eriksens Plads in 2008. After Andersen and his cast of workers started to dismantle the schooner, slowly and bit by bit, they jacked it up with hydraulic stands and tied it together with chains to restore her original shape. Then they replaced the keel, frames and planks and all the rest of it. It’s all wood from Danish forests that were planted centuries ago — only the deck is made from Norwegian pine — so most of Bonavista is locally grown, like produce from the farmers market. But like those organic veggies, the restoration cost a pretty penny. The project ran at least 20 percent more than building her from scratch. And she still doesn’t have a rudder, bulkheads, an interior or an engine, not to mention the ballast needed for proper manners under sail. When Bonavista was commissioned in 1914, she was already outdated, hopelessly overmatched by the motorized competition. Still, she gamely went into the Newfoundland trade and proudly carried her name, which goes back to a coastal settlement of Portuguese fishermen north of St. John. She also survived World War I and accepted the humiliation of being fitted with a 50-hp engine and being “demoted” to local routes around the Baltic and North seas. She endured and survived, perhaps knowing that better things were in store for her. In 2000, she was about to be sold to the United States when the Danish ministry of culture bought her and handed her over to the National Museum of Denmark, which took bids for her restoration. That’s how Ebbes Bådebyggeri got into the mix. It was a big job, one that was much bigger than the restoration of a decrepit, old ship. Bonavista also became a tourist attraction. “More than 60,000 people came here every year to check out the work,” says Erik Kromann, the director of the local maritime museum. He is the custodian of the town’s seafaring tradition, an important job in Marstal, as the schooners were known far beyond Denmark’s borders. By carrying goods around the world, they were precursors to globalization and ambassadors for their tiny home port. 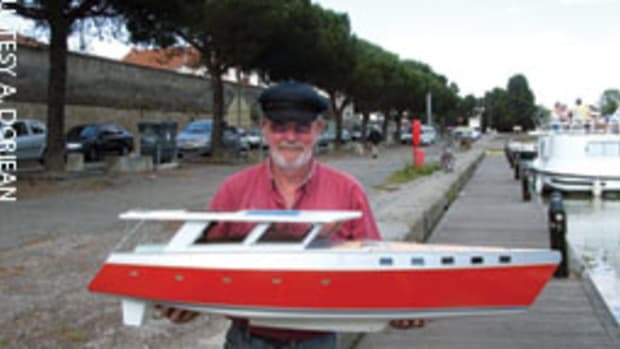 “Marstal is minuscule, but because of its ships it had an international, a cosmopolitan reputation,” says Carsten Jensen, a celebrated author who was born here and wrote the bestselling book “We, the Drowned,” which chronicles the stories of Marstal in fiction. “This restoration project is significant because the people who still have traditional boatbuilding skills are getting old and there are no young ones to succeed them.” That’s another reason Bonavista is much more than an ancient fish hauler. She’s a vestige of Denmark’s heritage and national identity, striking a chord with a large community that includes not just sailors and townsfolk, but people from all points of the compass who wanted to be part of this party that brought a chunk of the past into the 21st century. In this forest of masts and Danish flags, a lone star-spangled banner stood out. It flew from the stern of Wiki Wiki, an immaculately maintained Hinckley Sou’wester 51 that belongs to John and Mary Treanor of Houston and Southwest Harbor, Maine. 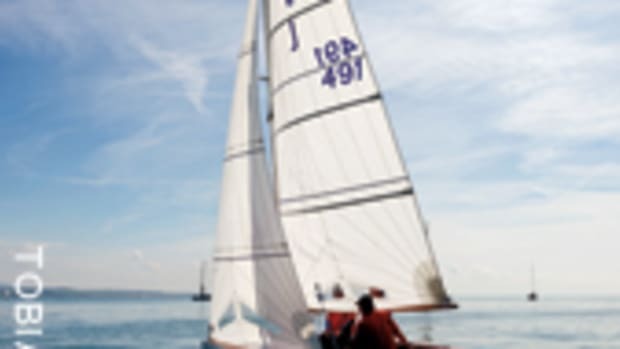 The Treanors are members of the Cruising Club of America and have crossed the Atlantic several times in both directions. They cruised the Med and northern Europe and stopped here on their recent tour that took them to Scotland, the Hebrides, Shetland, Orkney, the fjords of Norway and the Skerry islands of Sweden. “Norway was beautiful,” John says, “but it required that we take out a bond equal to the value of the boat while storing Wiki Wiki there. We did not want to do that.” So the Treanors weighed anchor and left one welfare state to sail to another and ended up in Denmark, at Ebbes Bådebyggeri in Marstal, where they didn’t have to pay a bond, just the yard bill for routine maintenance. 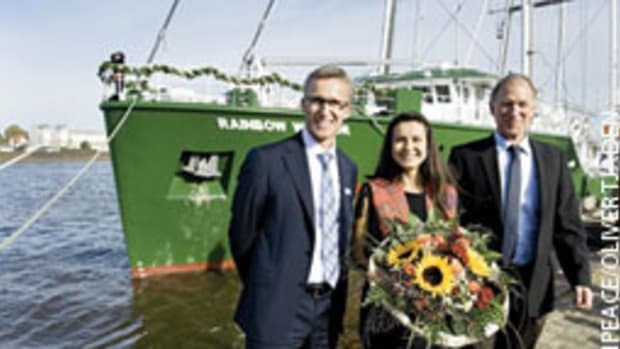 A 24-year old vessel that looks like it was launched yesterday, Wiki Wiki remained berthed at Ebbe’s dock, just about the only fiberglass boat at this giant party thrown in honor of Danish wood and vessels made from it. They built it, now what? Interestingly, work doesn’t appear to be in the cards for Bonavista, which will only be completed if it is clear who will cover the operating costs. 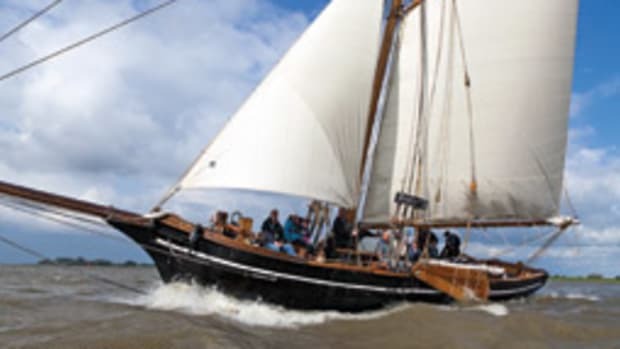 She shouldn’t sit idly at the dock but is supposed to sail in the region, serving as an ambassador for Marstal, its people and Danish shipbuilding traditions. She won’t join the charter trade that’s crowded with Dutch and Danish boats fighting for a limited clientele. There was talk at the docks about the Danish government riding to the rescue again, just as it did to prevent her sale to the United States. None of this fazed the crowd who had patiently listened to the speeches while baking in the sun, but now was put on alert by the clanking of the workmen’s hammers that drove wedges under the cradle to free the keel. Shortly before 11:30 a.m. a tiny jolt went through Bonavista’s hull and the crowd roared. The staccato stopped and she moved! Slowly at first, then gathering speed as she slid down the gentle slope of this beach on wooden tracks lubricated in traditional fashion, with the grease of an ox and soap. The honored guests on deck held fast and then the bow split the water for the first time, shouldering it aside with the same ease and elegance as Bonavista’s first incarnation in 1914. Seconds later, she swam again to the cacophony of signal horns that mixed with the cheers of the people, who all felt Danish that second, regardless of their passport. Bonavista was back. It was a great moment for Marstal and Denmark. Somehow I thought these smiling faces expressed more than satisfaction with Bonavista, beer and a perfectly orchestrated stabelafløbning. Perhaps they wanted this instant to linger for a little while. I know I did. This article originally appeared inthe August 2012 issue.